Roccat launched a new line-up of keyboards called the Vulcan series with their new Titan Switch mechanical switches. 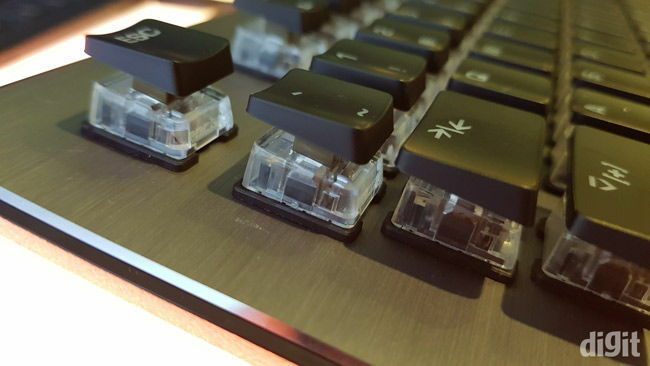 There were already reports on Roccat developing a new mechanical switch for its keyboards. After a teaser video released by them, we were sure the official reveal was going to happen soon. At Computex 2018, they finally revealed the Titan Switch on their Vulcan line-up of mechanical keyboards. You can read more about the switch here. We got to spend quite some time with the keyboards and here are our first impressions about them. The Roccat Vulcan 120 AIMO is available in three variants where the 120 sits on the top. It comes with a detachable magnetic wrist rest. The wrist rest has a universal design for the entire line-up. This means that it can be attached to all the variants. However, it only ships with the 120. The Vulcan 100 is the same as the 120, minus the wrist rest. On the 120 and 100, you’ll find multimedia support and dedicated buttons for volume control on the top right. Three buttons let you mute, change the lighting effects, and increase or decrease the volume. When the volume is muted, the mute button will blink. The other two buttons will light up when enabled and if you intend to change something, you can do so with the analogue dial beside them. For example, if the volume control button is pressed, then you can increase or decrease the volume with the dial. The keyboard supports up to four user profiles and macro recording for six marked keys. 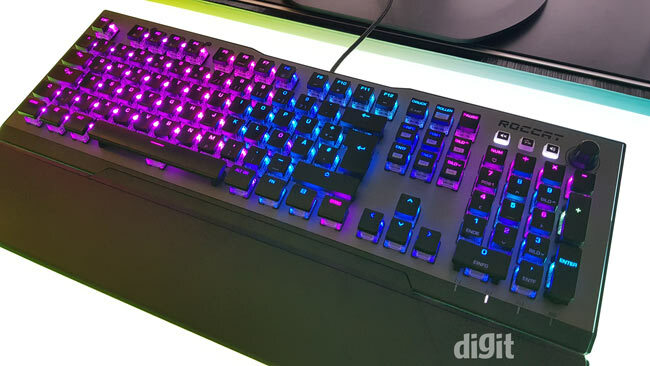 You also get per-key RGB lighting on the keyboard that can be independently controlled from the keyboard or using the Roccat Swarm software. The cable on the 120 is braided. Coming to the Vulcan 80, key illumination is only available in blue. You won’t get any RGB illumination on this one. Another difference is the absence of the dial and method of volume and lighting control. Here, you get individual keys to mute, increase volume, decrease volume, and change the lighting effect. There’s no wrist rest on this one as well. However as already mentioned, it does support the magnetic wrist rest available with the 120. The 80 has a regular plastic cable instead of a braided one. The volume dial is present on the Vulcan 120 and 100 to give you better analogue control. The keyboards have an open design for the switches which means that the switches are half-way protruding out. This not only gives the keyboard a different aesthetic feel, it’s also easier to clean. The surface of the keyboard has a brushed aluminium finish which looks elegant as well. Rather than packing regular keycaps, the Vulcan has shorter ones. 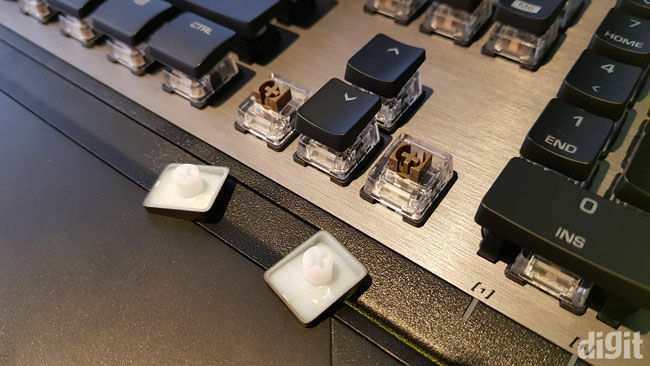 This ensures that the switches are better visible instead of being hidden under the keycap. 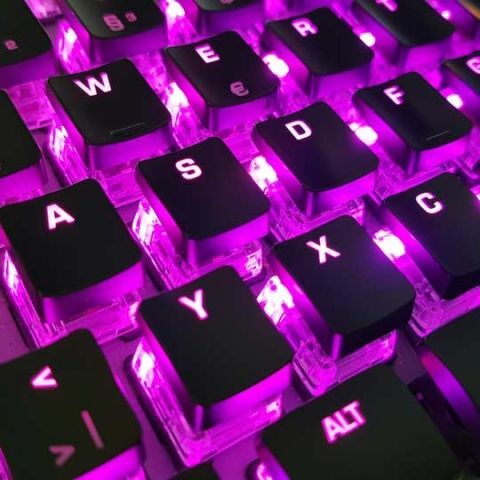 They do have Cherry MX keycap support. However, the balancers used on the longer keys such as the spacebar and shift key aren’t Cherry MX compatible. Both the keyboards are supported in the Roccat Swarm software where you’ll get more options to play around. Cherry MX keycap compatible design for most of the keys. For the limited time we spent with the keyboard, we didn’t find any problems. The switches felt smooth and offered a close resemblance to how Cherry MX Browns feel. Since we didn’t spend too much time typing or playing games, we don’t know about the response time. Preferences for keycaps are personal, so it’s all up to you whether you want a full keycap or like the one on the Vulcan. Having a full height keycap also gives you a better satisfaction of typing on a keyboard. On the Vulcan, the experience was similar to typing on a laptop with a longer travel distance. They didn’t wobble much and had a snug fit to the switches. 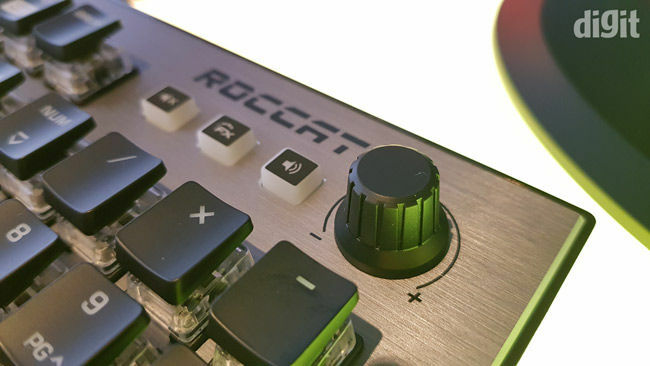 Overall, it’s a solid product from Roccat and only time will tell how well would the keyboard perform and how long would the switches actually last. The company didn’t mention any plans of selling the keyboard in India yet.